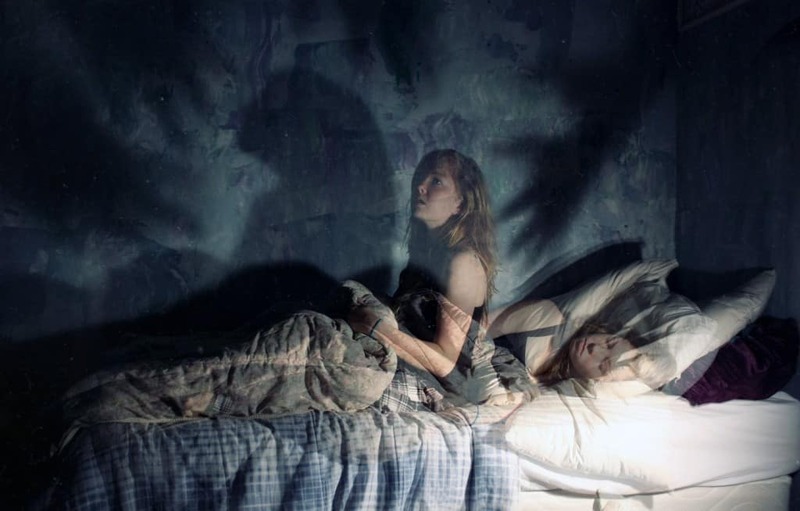 It is estimated that around 40% of the population experiences sleep paralysis, a horrible feeling of waking up in the middle of the REM phase of sleep only to be faced with a dark room and a shadow of a child in the corner of the room. When you try to scream, you can’t because you’re paralyzed, unable to move even an inch. 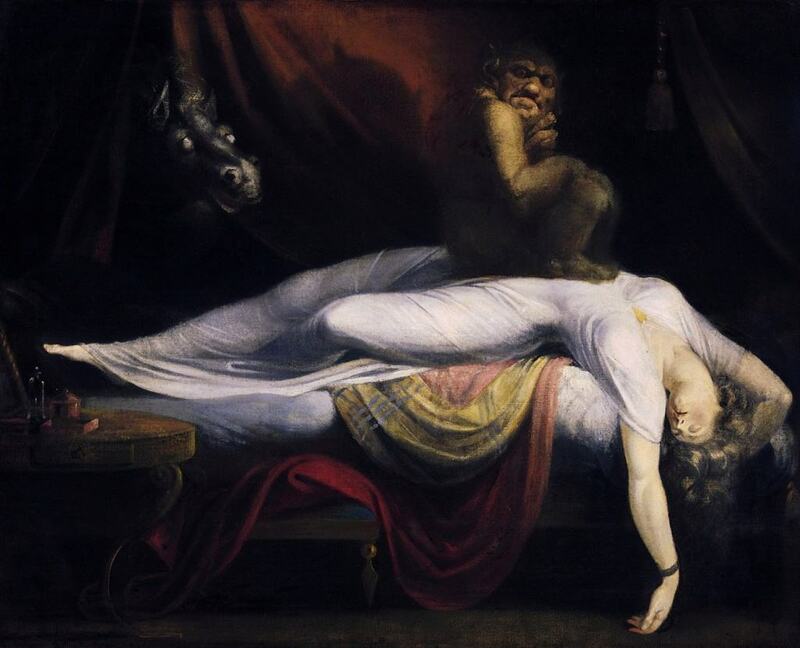 Dealing with the nightmare of sleep paralysis is scary for everyone, and we’ve found the ten of the scariest scenarios people have been faced with in our list below. Adam, a student who experienced sleep paralysis after falling asleep while reading a book, has been scared to fall asleep ever since. He has experienced waking up while being paralyzed and the room around him was cold, and he had a feeling that someone was watching him even though there was nobody in the room. He couldn’t move and his limbs felt heavy. The bedside lamp switched off and he tried to scream, but couldn’t, as a figure of an old man with no eyes, just dark, empty sockets pouring out blood appeared in front of him. He awoke with a jerk when the man grabbed his legs to realize that the man from his dream was his grandfather. A girl shared a scary account of sleep paralysis on the social media site Reddit, saying her scary nightmare experiences always look the same. It starts with “gremlin type creature that’s got pointy features and is a browny green color,” and continues with the creature sitting on her chest talking in a language she can’t understand until she eventually wakes up. Another scary account comes from a man who was at the time of his recurring nightmares battling alcoholism. 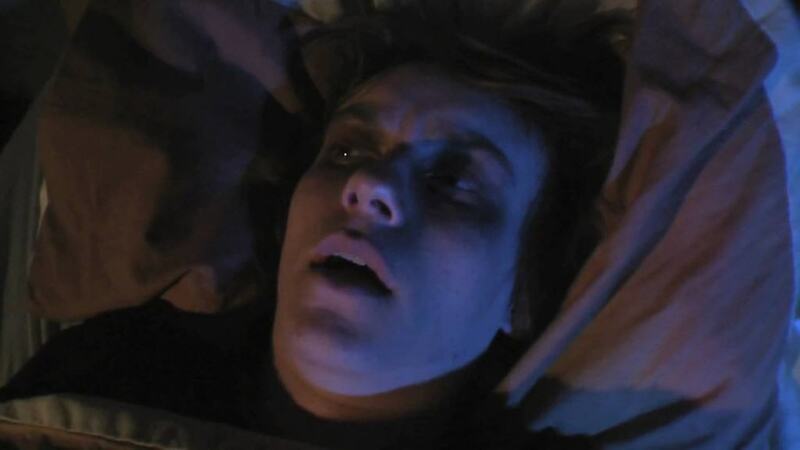 It would all start when he would wake up completely unable to move his body, laying in the dark as the woman would approach him and start choking him. He would wake up every time after approximately five minutes of struggling, and wouldn’t be able to fall asleep again. 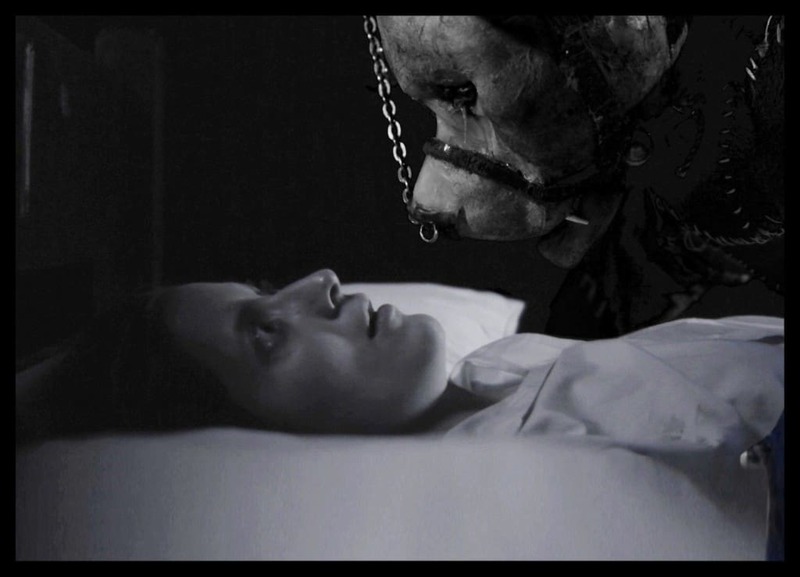 One of the men on Reddit admitted he’s always has the same nightmare during sleep paralysis. As he wakes up in the middle of the night, he’s faced with a young boy asking him “Can you see me?” and the boy watching him from the foot of his bed. The boy would repeat the question, each time louder and his voice deeper, until the boy came to an inch from his face and scream “Can you see me?” one last time before the man wakes up. Another man says he’s used to sleep paralysis, having experienced the weird phenomenon since he was a child. However, as he grew up, one of the experiences stuck to him as he kept reliving it again and again. He opened his eyes paralyzed to find a little human-like creature walk into his room and climb on top of him, running from his feet across his body towards his face. As he would reach his head, he would disappear. The whole thing would repeat itself a few times before the man finally awoke. One of the more terrifying stories features cuddling with a skeleton with claws. 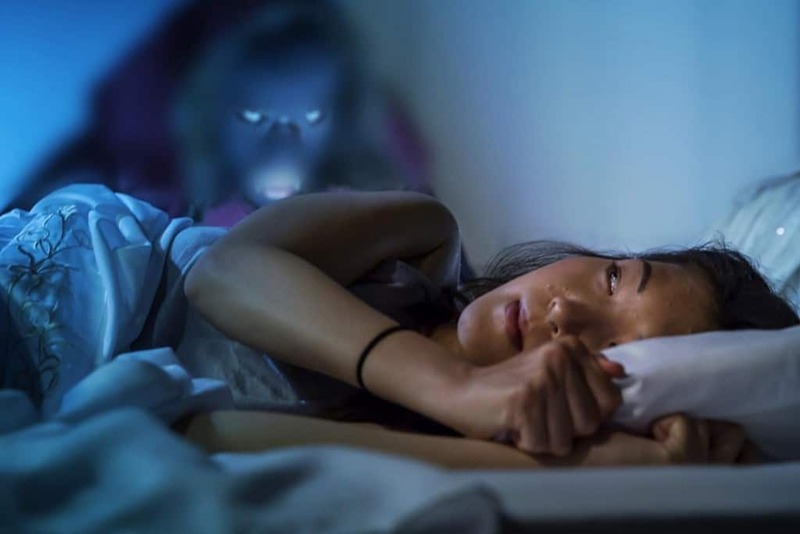 One of the men who came forward about their sleep paralysis on Reddit says he was lying on his side as he woke up paralyzed and felt the covers shift as someone climbed behind him and slid an arm around his waist before breathing on his neck. The skeleton then whispered “Not yet. You’re not ready yet. I’ll come back when you are,” and left just before the man woke up. 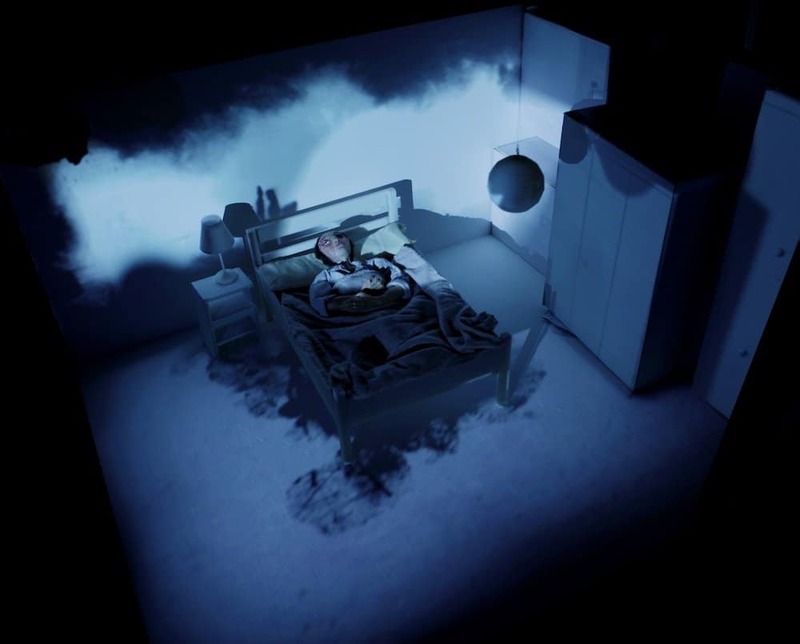 A lot of the people experiencing sleep paralysis are faced with being abducted by aliens while they are unable to move or scream in their dreams. 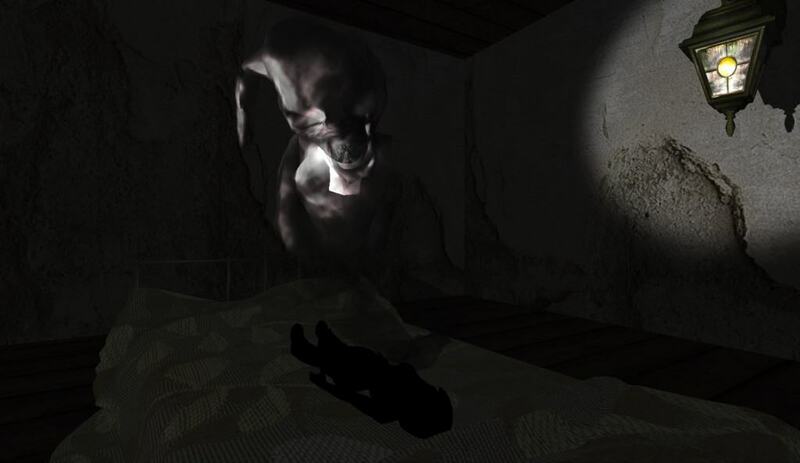 One of the women was faced with three creatures staring at her from the foot of her bed before dragging her to their spaceship, while a man woke up to find aliens walking around him and draining his energy. Some of the people who experience sleep paralysis go to terrifying lengths just to make themselves believe that it’s all just in their head. One man decided to film himself sleep in order to prove to himself that the shadow he sees every night while he’s paralyzed is just a dream. However, he claims that when he woke up and watched the tape, the shadow was still there. The scariest account of all is of a man who, when paralyzed, is faced with a shadow that slowly climbs the wall beside his bed. Then the air is filled with static and the shadow turns into a man that moves closer and the static gets louder. As the man comes close, he begins screaming into his face and the room turns red before the man’s hands turn into spikes. After, the man stabs him with his hands until he wakes up.